For those of you in Great Britain and Northern Ireland, please post your 2016 Cars finds in this thread... Many thanks! Sorry for the lack of updates, but work commitments meant I haven't had time to post. My local TRU have the Carbon Racers. They were initially priced at £7.99 (immediately down to £5.99 with the Ice Racers). 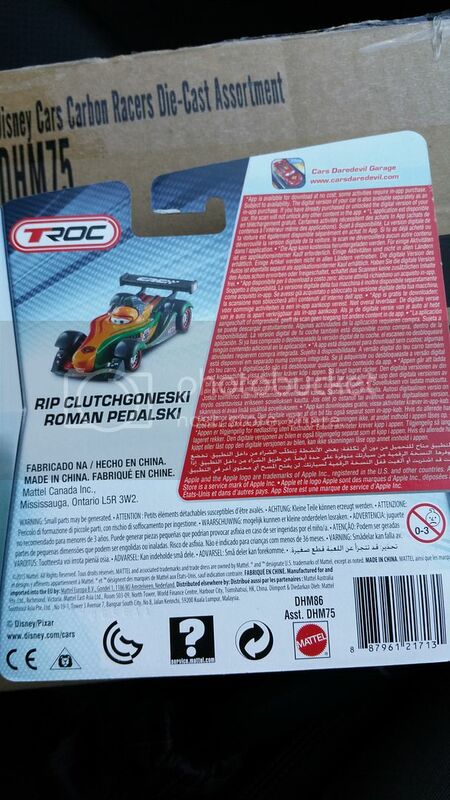 They are now confirmed as being £6.99 with the Ice Racers being sold off for £4.99. 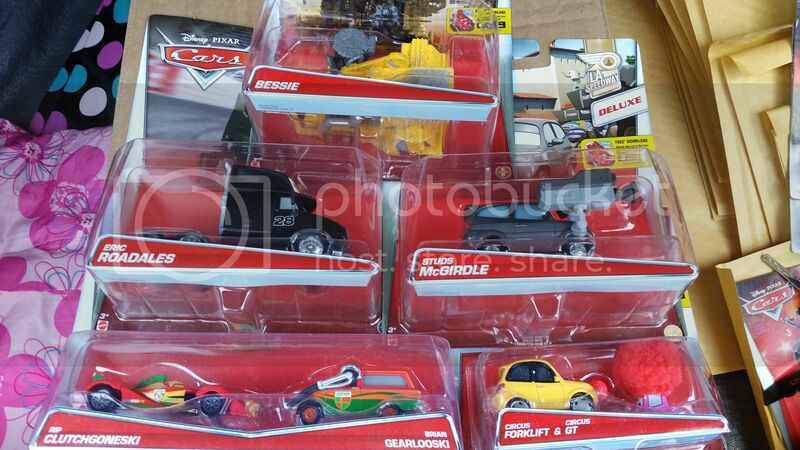 The next wave of Radiator Springs Classics, delayed from the end of last year (why?) are due very shortly. Apparently, TRU's exclusive rights to sell them is now over, but no other retailers expressed an interest in selling them. It remains to be seen whether other retailers do end up selling them. They are incredibly popular, so maybe? smyths, not a lot on the shelves, got one of the guys to get the aircraft steps and he bought down unopened carbon, twin packs and a case of ordinary cars, it was only when we visited another branch did I realise the cars were down to 2.50!, bought carbon hamilton and the shaun/sal twin pack, (sal was orange compared to the yellow one i,ve got , any reason for this anyone?? ), then went to the big smyths, they were shut for stock taking! 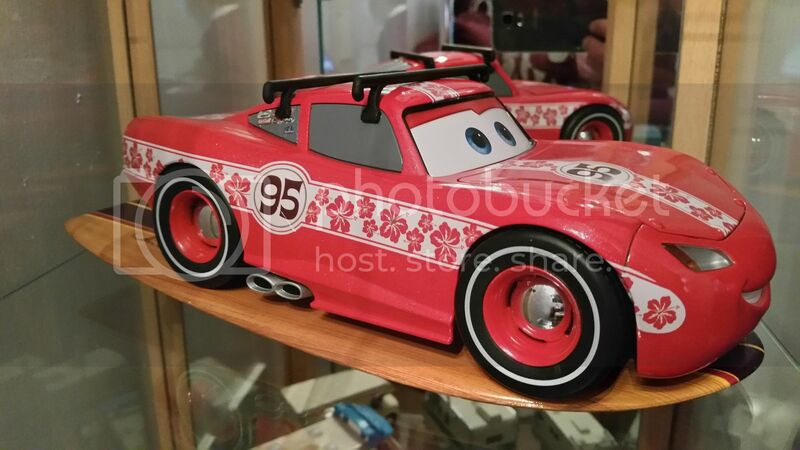 Great post boogity, I know exactly what you mean when you say you are running out of room for new cars! I re-organised some of my displays over the Christmas and New Year period and I realised I had more loose cars than I had room to display! I couldn't believe exactly how many cars I had so I thought I would ask the good lady wife if I could place a handful of cars on show in the house. She said NO! Obviously she knows that if she says yes to a small number before too long I would of taken over every available square inch of space downstairs. She did compromise on the big 1:18 scale LMQ I got half price from the Disney Store, I was allowed to put that in the living room but I didn't attach the surf board as it's just too big! I decided to place LMQ on top of the surf board and it looks much better that way. I also picked up the smaller scale LMQ and Filmore from the artist series at the same time as they were such a good price - pics to follow! I had a good hunt about today but I didn't find a single Carbon Racer Rip, TRU didn't have them on display this afternoon so I will pop back and get him next time. Other than that, the Bruce Boxman 7 car pack was £19.99 and the race fans 4 pack were £14.99. I met my 'dealer' in TRU car park and did come away with a decent haul! Last edited by VANDANCE; 01-06-2016, 03:20 PM. As for you saying that colour changer Sally you saw was orange not yellow - I think the reason may have been that she was at a stage in the process of colour changing. 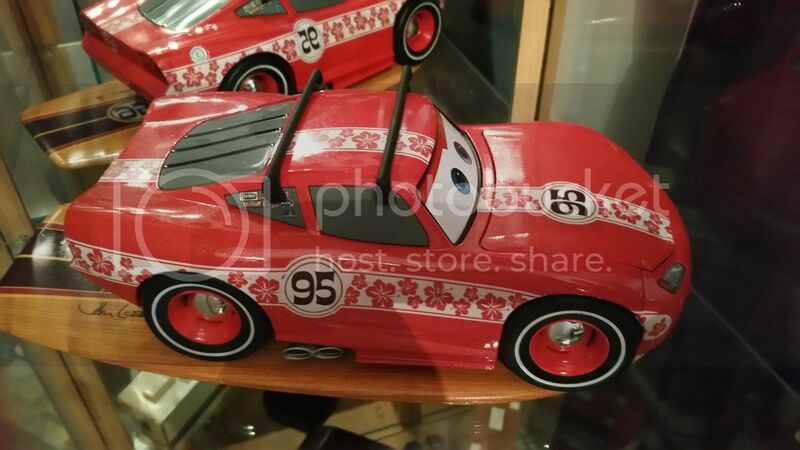 Depending on the ambient temperature in the store the cars will change colours on the pegs. I suspect that is what it is mate! Cheers Kenny! Very pleased to add Bessie to the collection at last. Great finds as per usual. May I ask if the Bessis & Co were found in TRU? Pleased to have picked up the Carbon Racer Rip today, there was a new box in Smyths toy store and even the price of £8.49 was not going to stop me taking him home! There were also 2 sealed cases of 2015 Cars but nothing new, both cases were the Christina Wheeland assortments from mid 2015. My Mum got me David Hobbscap with Headset and Holley Shiftwell with Screen in Smyth's the other day, priced very nicely at £2.50!!! Not sure when in 2015 these were released, so it would be nice to know! 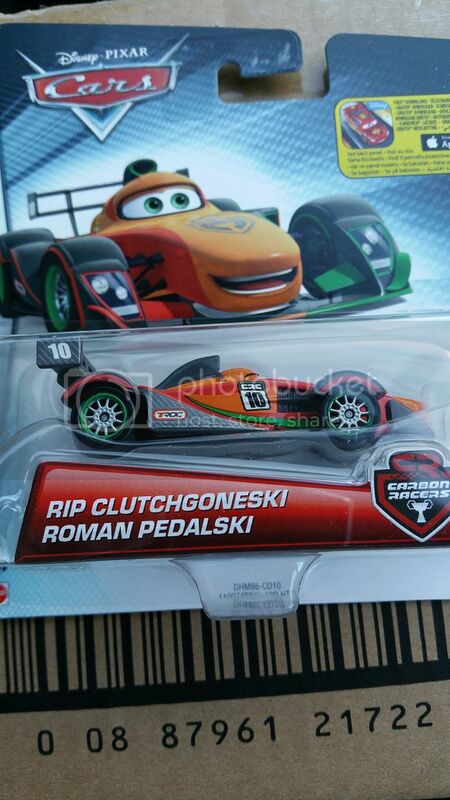 I visited a Smyth's the other day, Got Carbon Rip, there was only the usual remains on the shelf - Mcqueen's, Francesco's etc. but amongst it there was 2 Super Chase 'Ciao' Francesco Bernoulli's. 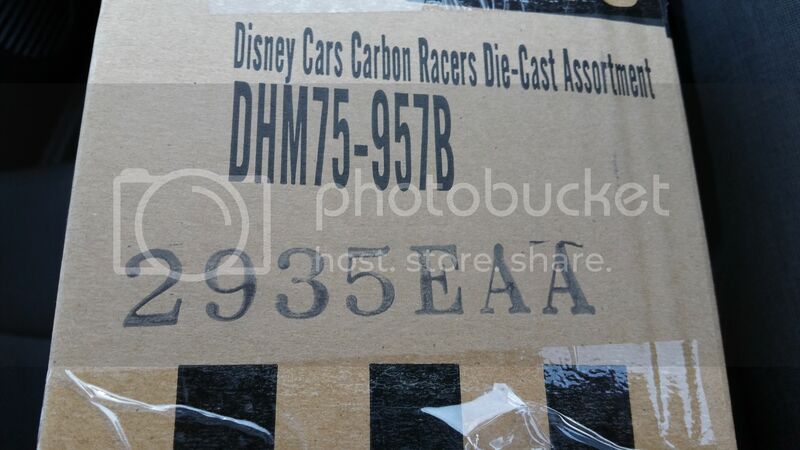 I think that the David Hobbscap with Headset and Holley Shiftwell with Screen was released in Summer 2014.
as I suspected.... I didnt think you got that nice little haul on the high street! Finally found the protect and serve 3 pack in Asda today (£13.97), they also had the Tokyo mater set with yokoza and the Mia Tia ambulance set back in stock. 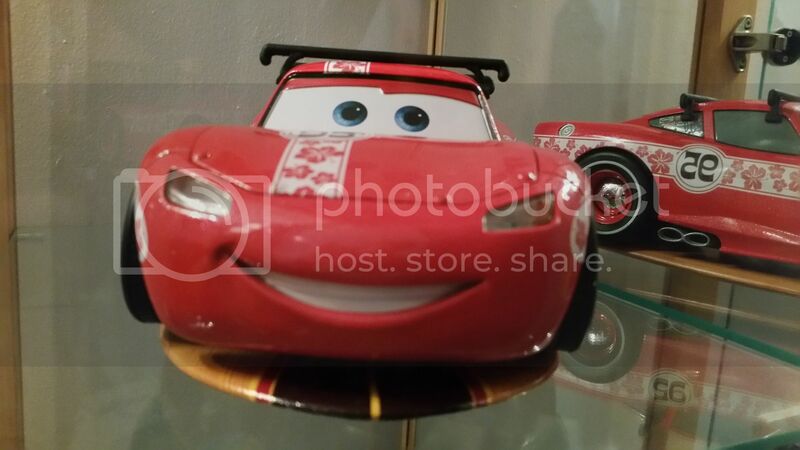 Also, for anyone who may be interested, the entertainer has the LE boxed lightning McQueen that our US friends were finding some time back. It was priced at £6.